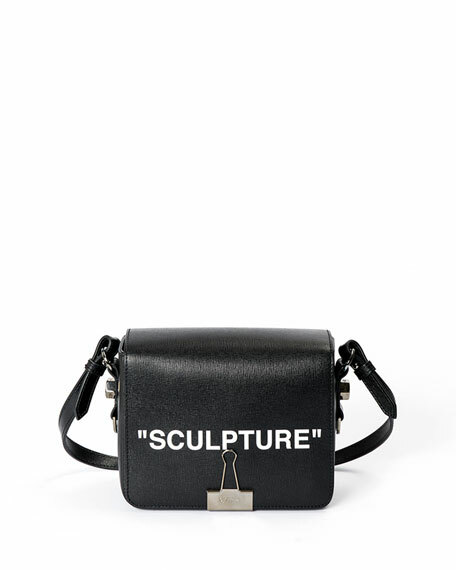 Off-White shoulder bag in saffiano leather with "Sculpture" text at center. Flap top with logo-engraved binder clip. 6.9"H x 7.3"W x 5.5"D.
For in-store inquiries, use sku #2644984.